Waterproof membrane for tanking walls and floors. 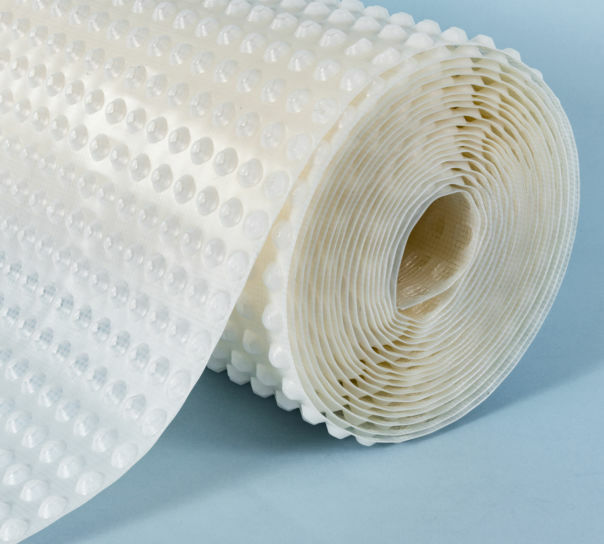 Cavity drain membranes in 40m2 & 48m2 rolls for basement water­pro­ofing. Leaves surfaces ready for dry wall lining or floor laying. 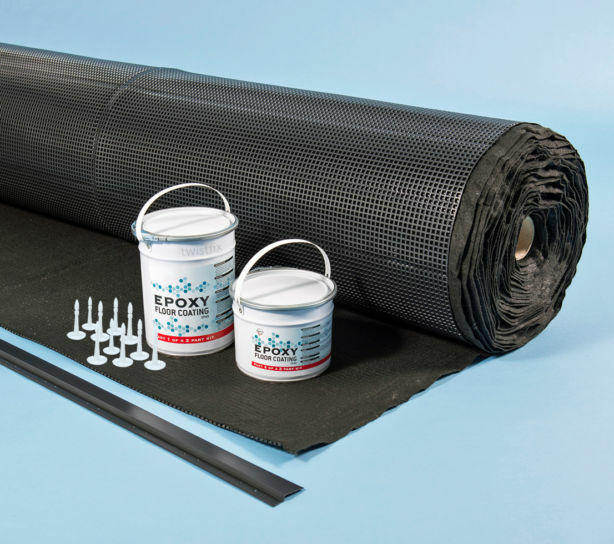 Waterproofing membrane kit with everything needed for waterproofing 40m2 or 48m2 of floor or wall. Fix studs to basement membrane plugs for dry-lining walls. Lay screed direct. 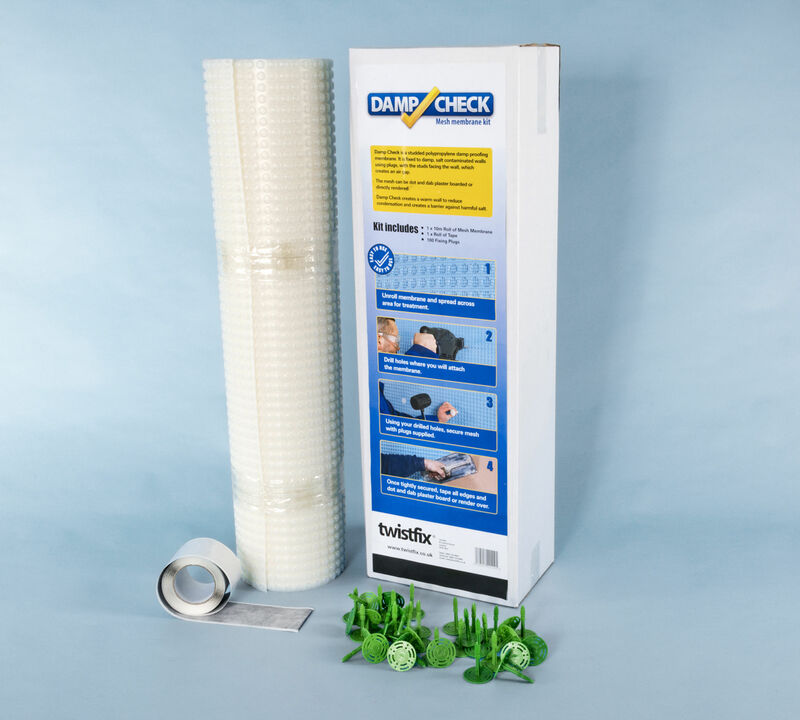 Mesh membrane kit in 3 sizes with everything needed for waterproofing wall surfaces. 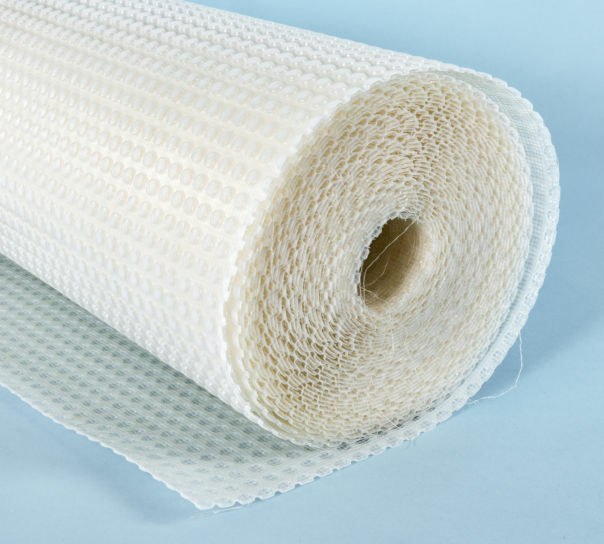 These waterproof tanking membranes include a mesh face for direct application of plaster or dabs for plasterboard. Basement waterproofing membrane systems form a continuous impermeable envelope in cellars to keep damp and water out. Cellar conversions are rapidly becoming a popular choice for those wanting to extend the size of their living accommodation without extending the size of their home. Tanking membrane and floodwater management systems provide a dependable basement waterproofing solution. When planning a basement conversion consideration must be given to the accumulation of hydrostatic water pressure that can result in the penetration of ground water into the cellar through cracks and at vulnerable wall junctions. What are the options for robust basement waterproofing measures that will keep damp and water at bay? 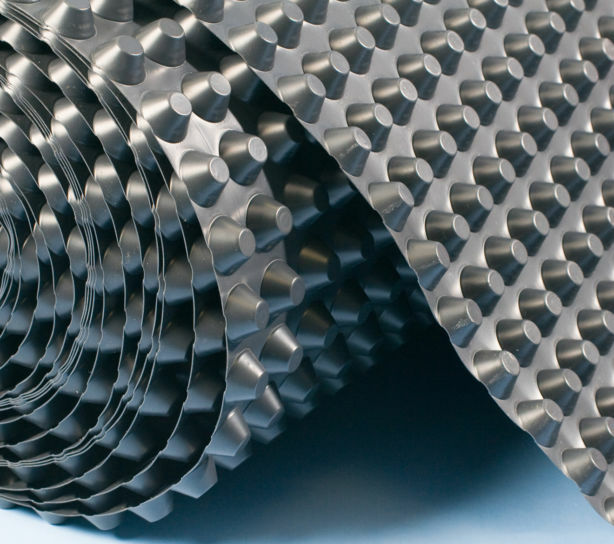 External waterproofing membranes are used for capping or for new construction projects with underground cellar space. 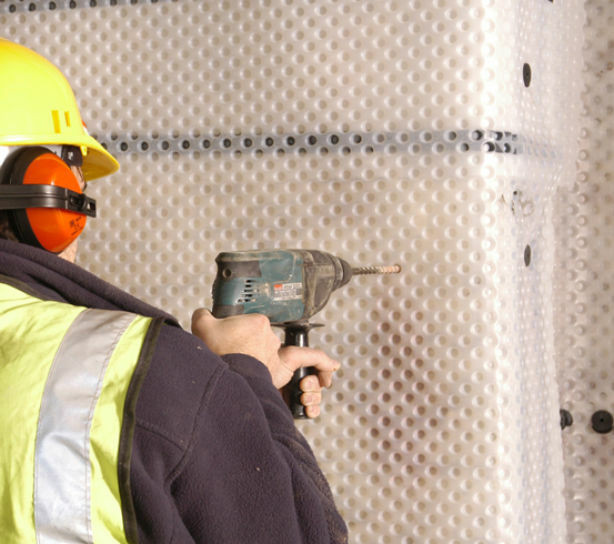 A double-layered geotextile membrane is fixed on the outside of the wall, prior to back-filling, to prevent water entering the cellar walls. Cement tanking slurry is painted onto the inside of cellar walls to hold back the damp. Walls using a basement tanking slurry for structural waterproofing behave like a dam to stop water penetration. Cavity drain membrane is fixed over the walls and floors of cellar areas in existing buildings. 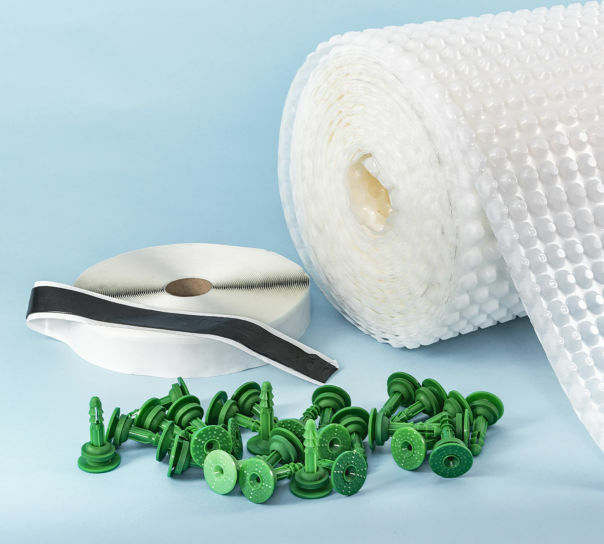 The membrane incorporates stand-off studs to create a continuous air-gap from which water can drain, leaving the plastered finishes unaffected. In our opinion basement tanking in existing buildings is best carried out with waterproof membrane systems. 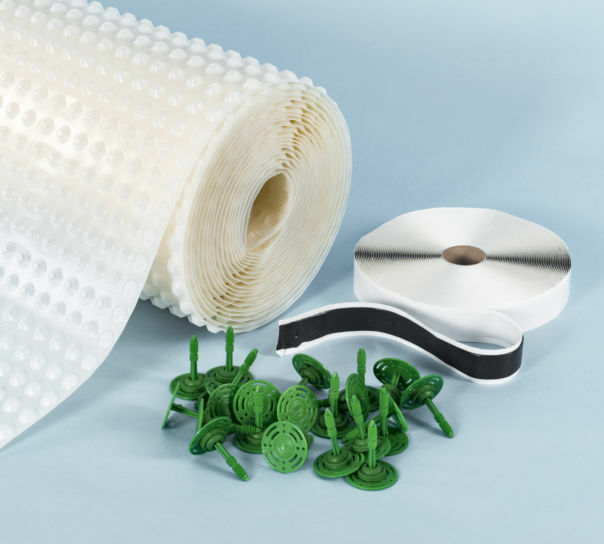 The membranes are supplied in a variety of roll sizes and stud depths. Finishing options include fixing studs and drywall to the membranes or, for membranes that incorporate a thermally bonded mesh, the direct application of plaster or plasterboard adhesive. 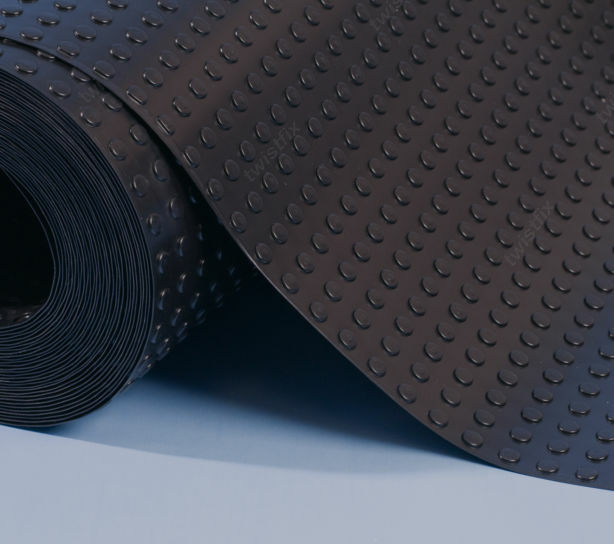 The studded waterproof membrane isolates wet cellar walls and floors from dry internal surfaces. Behind the membrane any water seeping through the walls drains into channels and sumps before being silently pumped away - simple, efficient and cost effective. 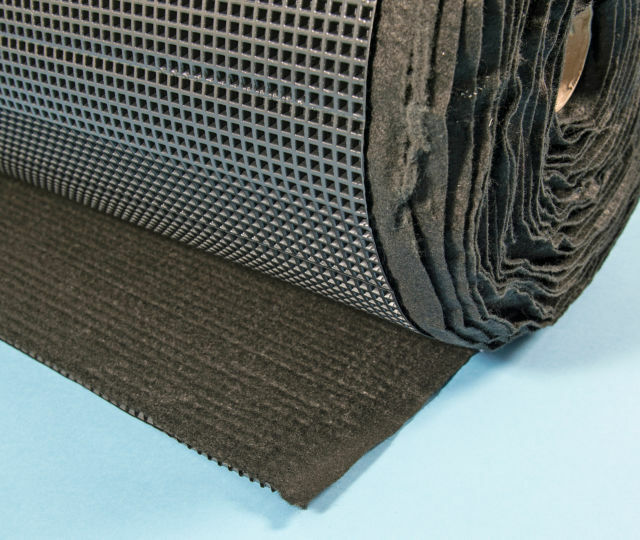 Basement tanking membrane is a quick and easy solution to basement waterproofing issues.